O.C. is back in Milan almost two months from an extended summer in NYC -- already here long enough to saturate her tongue in delicate, fishy bagna cauda from Trattoria alle Langhe; syrupy fresh marrons glacés from Giovanni Galli (with candied violet flowers layered on top); and all the wintry grappa she can drink (Bocchino cantina privata from the mid '70s...strong with honey, cinnamon, tabasco, and sometimes bread crusts) -- but the arching shade from this past Fall's Lincoln Center events still touches her shoulders: Bernard Haitink & the London Symphony Orchestra's Mahler concerts. Opera Chic was lucky enough to attend all three concerts at Avery Fisher Hall-- Mahler's 4th, 9th, and Das Lied -- so her last tangible Fourth Symphony still resonates from the old Dutch Master, further encouraged by Sinopoli's Complete Mahler recordings with the Philharmonia Orchestra. This time in Milan, O.C. wasn't going to pass-up hearing Mahler's Fourth live. Although this time it wasn't the Philharmonia or the LSO, but rather the small corps of practiced musicians of Milan's Orchestra I Pomeriggi Musicali, a tight orchestra on Thursday night -- with only 30-ish strings, a dozen woodwinds, and half a dozen brass/horns -- a big enough challenge to master even one of Mahler's lighter symphonies that thankfully calls for a smaller orchestra. So that's where O.C. 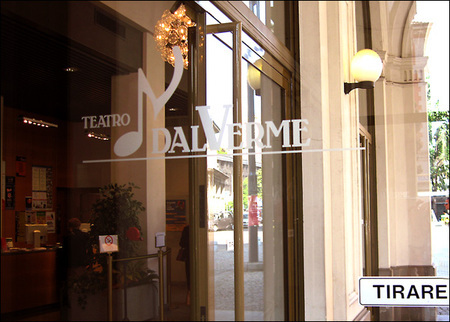 found herself, at Milan's Teatro dal Verme. 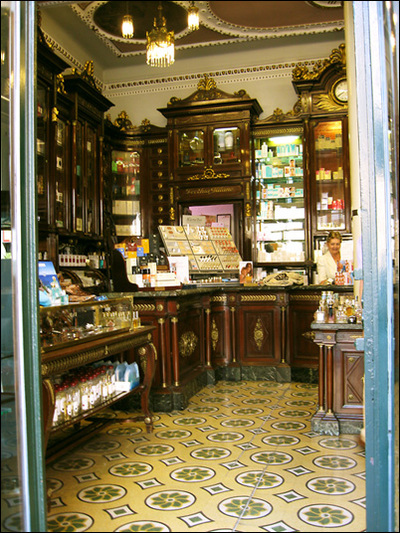 Dal Verme's stood in Milan since 1872, inaugurated with Meyerbeer's The Huguenots. 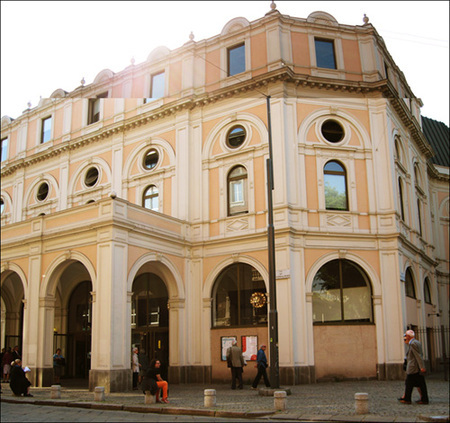 It also hosted the Italian premieres of Puccini's opera/ballet Le Villi, Leoncavallo's Pagliacci, and Lehar's Die lustige Witwe. Thursday's concert featured Swedish soprano Lisa Larsson, who has already cut a few discs in Mozart and Bach, and Torino-born Italian conductor, Antonello Manacorda. Maestro Manacorda, one of the original founders of the Mahler Chamber Orchestra, has been collaborating with IPM since the 2006/07 season when he became the Music Director. Among the lesser known jewels of downtown Milan is the glorious Teatro Dal Verme, where masterpieces such as Pagliacci had their premiere (and after almost total damage suffered during WWII, a nightmarish sum of Allied aerial bombing and German looting, the theater suffered a long eclipse and major reconstruction); and tomorrow the Dal Verme stage will be lighted up by a supercool music marathon, a "maratona musicale": it starts at 3PM tomorrow with Orchestra del Teatro Regio di Torino conducted by Bertrand de Billy in Beethoven's Pastorale and in "Concerto in re minore per violino e orchestra op. 47" by Jean Sibelius with the great Uto Ughi. 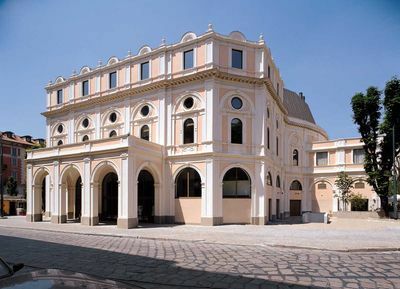 At 6PM, Orchestra di Padova e del Veneto, under the baton of Giordano Bellincampi, will play the ouverture of "Le nozze di Figaro", and with soloist Sarah Chang the "Concerto in mi minore per violino e orchestra op. 64" by Felix Mendelssohn, and finally the Symphony n. 3 by Franz Schubert. The marathon will end with Alexander Vedernikov conducting Orchestra della Svizzera Italiana and Nicolai Demidenko at the piano in "Concerto n.2 in do minore per pianoforte e orchestra op. 18" by Rachmaninov and in the symphonic suite op. 35 from Korsakov's "Shéhérazade". A ticket for all three concerts will cost a very reasonable 33 euros, about 40 bucks. ....is still in full effect (just in case you were wondering). 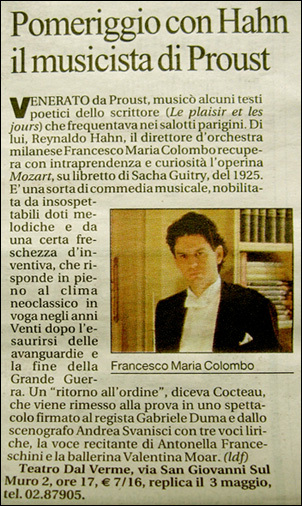 In an update to this past weekend's operetta led by Maestro Francesco Maria Colombo at Milan's Teatro dal Verme, I luckily rescued this small clip from Saturday's La Repubblica while going through the backlog of newspapers, magazines, and mail. Raaaaawr! Look at that brooding, temptuous stare! Opera Chic -- and about 400 Milanese senior citizens -- filled the immense Teatro dal Verme (pictured above, the omghistoric opera house where many masterpieces, among them Pagliacci, were staged for the first time) late yesterday afternoon to hear Maestro Francesco Maria Colombo lead the Orchestra I Pomeriggi Musicali in Reynaldo Hahn's operetta "Mozart, Commedia Musicale"...and to witness Wolfgang Amadeus Mozart personified as a young, Black, American soprano. RAWK! It flipping rawked...I mean, how cool is that?! Casual was mosdef in order, so I threw on an Alexander McQueen black silk ruffled blouse tucked into a pair of super-str8 legged khaki pants from Salvatore Ferragamo, a pair of platform burnt-orange espadrille wedges from Paul Smith, and a beige knit and leather trimmed Ferragamo bag. Frerrargarmo. heh. Reynaldo Hahn had a kewl life: Venezuelan by birth, but relocated to Franzz, and accepted at an early age to the Paris Conservatoire, where he was taught by Massenet, Gounod and Saint-Saëns; he also developed an affinity for Marcel Proust (who didn't? ), and they became bf4e&E&E w/benefits ifyouknowhatimsayin. A bit obscure to a fan of meatier opera, OC's first impression of Hahn came from the gorgeous aria (Si mes vers avaient des ailes) sung by Bidú Sayão, so I was eager to know more of Hahn's quintessentially Belle Epoque work. 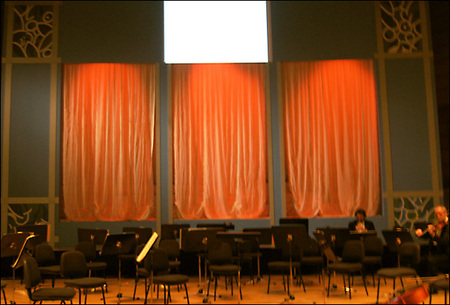 The orchestra was arranged in front of a small, raised stage with three porticos where the action took place (photo above) among Mozart, Madame d'Epinay, a ballerina, and another voce recitante. There were a few ariettas, but most of the action was relayed as recitative. Throughout three acts, the score is full of Mozart melodies taken from Don Giovanni and Le Nozze di Figaro, thus the story weaves around fictitious portions of Mozart’s life in Paris. Hahn's operetta, evocative of La Bella Epoca style, tells the invented story of a young virgin Mozart's visit to Paris, and to the estate of la Madame d'Epinay where he thrills the host with music, and is determined to get laid amid a flutter of jealousy, secretive letters, and then a revolt that finally sends him away. Think: Dangerous Liaisons. Because you know what you are in for with the performance, it's pretty hard to hold the show up to the standards of an opera. Sooo, we’ll leave it at this: Colombo conducted deftly (we've heard the same piece conducted by somebody else and Colombo's style -- light, elegant, tight -- really flew). The overture was rounded, quicksilver, and gorgeous. Colombo was in high spirits, and playfully conducted his corps. Aside from the overture, there is only a smattering of orchestra solos, but Colombo carried the entire performance swiftly. Lauren Michelle Criddle, the young American soprano in the role of Mozart, was lively, genuine, and sang well enough, but carries a small voice. But she made an awesome Mozart.